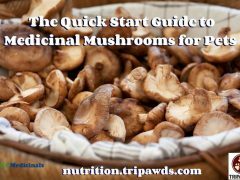 If you’re searching for a quality mushroom supplement for your dog or cat, you’ll want to check out our quick start guide to medicinal mushrooms for pets. 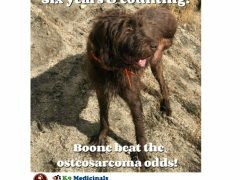 When Wyatt Ray started showing odd health symptoms, we discovered that healthy dogs need immune support too. 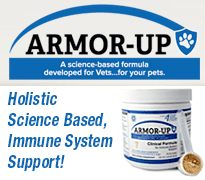 We boosted his immunity with Armor-Up by K9 Medicinals. 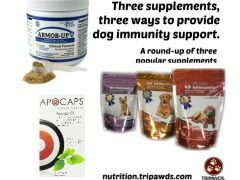 What do the most popular dog immunity support supplements have in common? 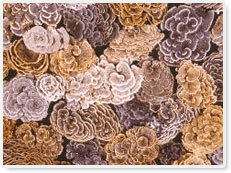 Learn their ingredients, how to give them and what they cost. 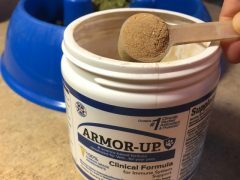 You don’t need pills to help support a dog’s immune system with Armor-Up, K9 Medicinals’ medicinal mushrooms organic blend to help fight back against disease. 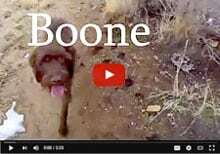 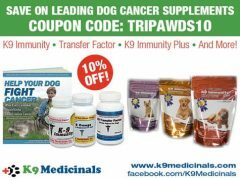 Learn how K9 Immunity, Apocaps and Transfer Factor mushroom immunotherapy treatments help manage dog cancer. 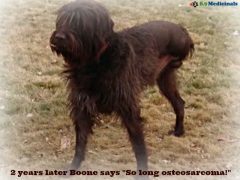 How hemangiosarcoma in dogs is treated with I’m-Yunity, the Coriolus versicolor mushroom, known commonly as the Yunzhi mushroom. 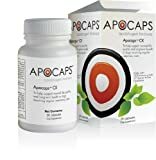 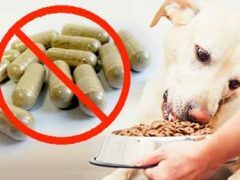 When and how to use antioxidant supplements with dog cancer chemotherapy therapy and radiation treatments.